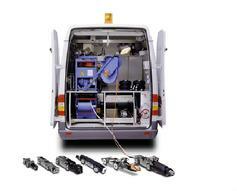 Econo Sewer & Drain Service, Inc. When Drains Don't Work, We Do! Econo-Sewer is a locally owned and operated business established in 1975 with over 35 years of experience in the industry. Our longevity is a testament to our quality work and honesty. We invite you to call our home office and schedule a free estimate to learn more about us and the services we can provide for you. Allow us to show you how our commitment to personal service and expertise will help you with all of your sewer and drain needs. 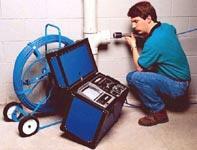 Locate sewer odors, pinpoint location. New home inspection, look first before you buy any new properties. Check lateral for proper pitch. Lines with "puddles" clog often. The only proper way to clean a sewer impacted with tree roots.